President Trump and Melania Trump arrived in Manchester, N.H., on Monday. While Washington remains focused on all developments surrounding the Russia probe, it’s another dynamic, shaping up far from Washington, that could have equal sway on President Trump’s legacy. 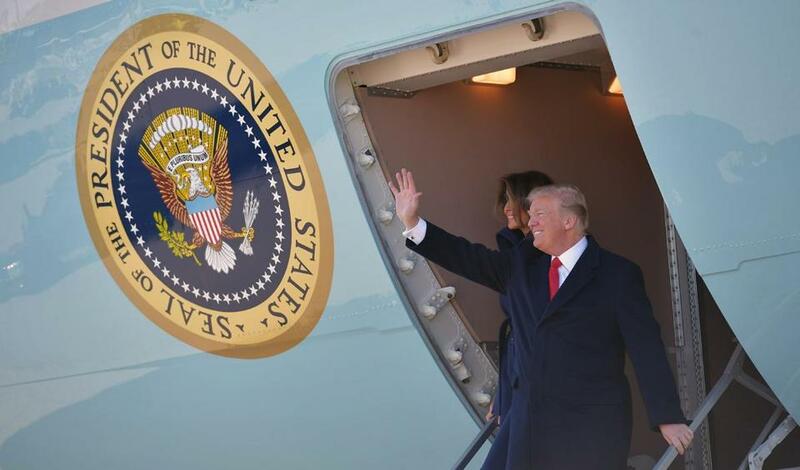 On Monday, Trump headed to New Hampshire, while his daughter announced she’s jetting to Iowa — both states that traditionally kick off the presidential campaign season. More than an early enthusiasm for the 2020 campaign season, the trips may signal a defensive move meant to discourage potential Republican primary challengers from adding their names to the ballot. Not having a serious primary opponent should matter a great deal to Trump. From then on it became a pattern. In 1976, incumbent Gerald Ford faced a primary challenge from Ronald Reagan, and Ford went on to lose the general election. In 1980, Jimmy Carter saw a primary against Ted Kennedy, and he too eventually lost. Twelve years later, conservative columnist Pat Buchanan waged a challenge against President George H.W. Bush. Buchanan’s race happened largely in New Hampshire, and he lost the Granite State primary. But in keeping with the LBJ precedent, Buchanan bruised the sitting president enough that Bush ultimately lost the general election. It is hard to know which came first: A president so weakened that he could lose reelection to an upstart challenger, or the challenger so adept at chipping away at a sitting president that he went on to lose. But one thing is for certain: Primary challenges didn’t help. In Trump’s case, would-be opponents wouldn’t be wrong to think there is room for a challenge, at least in New Hampshire. A poll conducted last month by New Hampshire’s Saint Anselm College showed Trump with just a 36-percent approval rating in the state overall. One in four Republicans polled don’t approve of Trump as president. Meanwhile, a University of New Hampshire poll last November showed only 47 percent of Granite State Republicans were willing to say they would vote for Trump in the next presidential primary. And unlike previous two-term incumbents, George W. Bush and Barack Obama, Trump has fostered such a hostile political climate that some Republicans — typically unwilling to speak ill of a sitting GOP president -— have no qualms about visiting the state and talking trash about the incumbent. That’s exactly what happened last week when conservative columnist Bill Kristol and Arizona Senator Jeff Flake traveled to New Hampshire, delivering blistering critiques about how the president wasn’t really a conservative and how they hope someone would challenge Trump in the primary. Kristol is headed to Iowa soon. Three days after Trump leaves Manchester, Vice President Mike Pence will arrive in the same city for a meeting with Republican donors and activists. And on April 3, Ohio Governor John Kasich will appear at a college near Concord for a fireside chat. Whether Trump actually faces a challenge remains an open question. When Flake was testing his message on Friday in Manchester, he received a standing ovation from a business-minded crowd of mostly Republicans. He was quick to note that the “odds are long” that he’d run in 2020. But remember, Flake wouldn’t need to win the primary to deeply damage Trump’s reelection chances. Even the threat of a challenge — from Flake or anyone else — could force Trump to spend the coming months playing to the New Hampshire GOP masses rather than his own base. His reelection may depend on it.